Tie your look together to make it POP. menu that is yours alone. the story of your organization in the fabric. In the right fashion comfort zone each time. 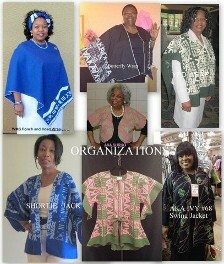 Find custom clothing for your organization, church, or getaway with help from By Danielle Designs. 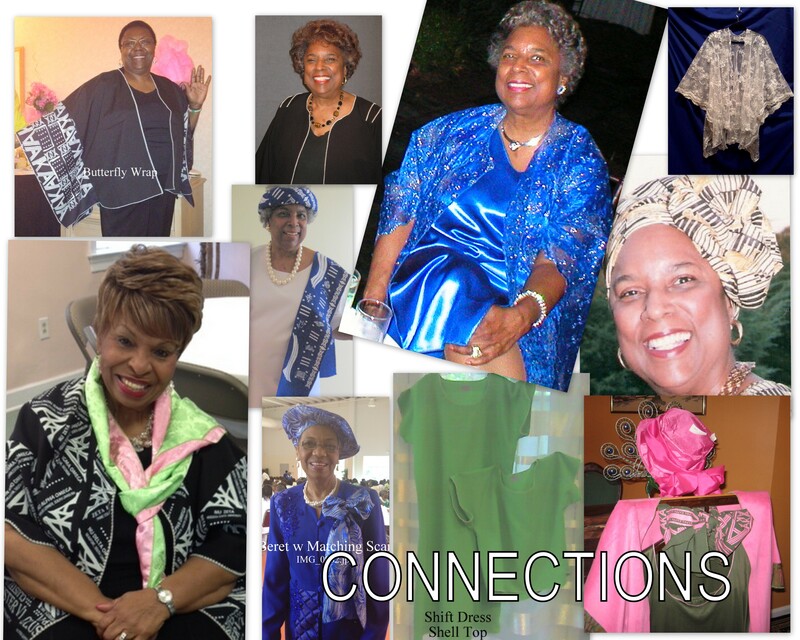 By Danielle Designs provides custom clothing to organizations and individuals throughout. We also create elegant and casual women's apparel that is sure to be a one-of-a-kind. We have been serving others since 1957. Our team has more than 60 years of experience in creative design and tailor-made wear. It is this expertise and dedication that sets us apart from regular department or clothing stores. By Danielle Designs knows that not everyone is the same shape and size. This is why we make every customer a priority. We make it easy to show off your natural beauty with clothing that is made with your size and your color choice in mind. Danielle Designs was founded in Brooklyn New York in 1954. 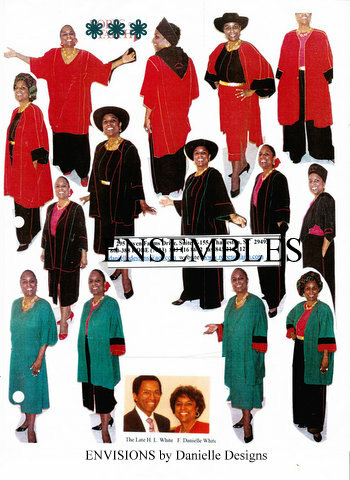 Originally a custom made to order enterprise, Danielle White now designs apparel, accessories, banners, church and community group ensembles and the Robes of Faith collection founded by Danielle and her late husband, Henri L. White in 1988. Widely know for her historically inspired Heritage Fabric, Danielle interprets the key principles and purpose of an organization to render their story on fabric. These uniquely designed fabrics are then sewn into garments and accessories creating a unique Heritage Collection for men and women. Heritage Fabrics and Collections have been created for sororities and fraternities, faith-based organizations and other non-profits. A visit to South Africa shortly after the inauguration of President, Nelson Mandela prompted Danielle to make a significant and lasting contribution to the world through Danielle Heritage Prints. The fashion designer was able to use her knowledge of art and craftsmanship to design garments and accessories emblazoned with a message of heritage, history and pride. The garments of the Heritage Collections are classic, comfortable and made in the United States. These garments are able to fit any size, travel extremely well, are easy to wear, requiring minimal care. To compliment these unique designs Danielle offers solid coordinates to mix and match the Heritage Collections. Danielle Designs to Serve You.